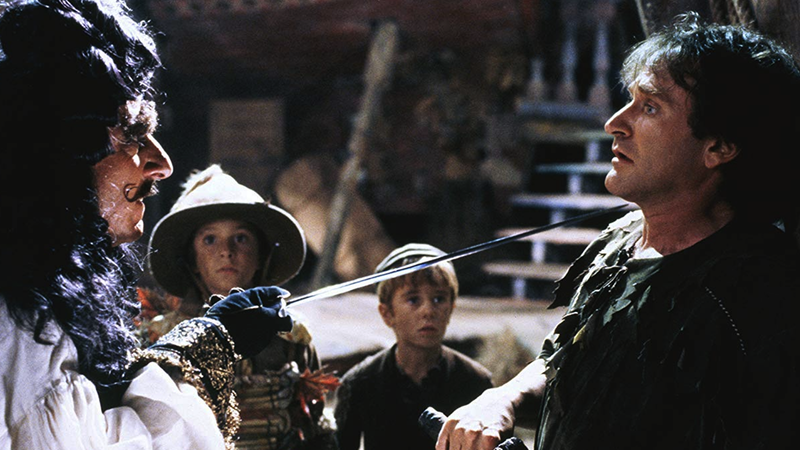 Steven Spielberg filters J. M. Barrie's Peter Pan through a distinctly 1990s sensibility in Hook. Peter Pan has become Peter Banning (Robin Williams), a 40-year-old mergers and acquisitions lawyer with a permanent scowl on his face and a cellular phone in his belt. Banning has lost any memory of being Peter Pan, and he is also in danger of losing his wife Moira (Caroline Goodall) and two children, Jack (Charlie Korsmo) and Maggie (Amber Scott).